One problem with this review. The annual fee is NOT 5000 as claimed by this poster. Then one wonders what else is false as well? Actually the Annual fee is $5000 AUD Rgala and an extra $1500 for supplementary cards. 2500 with one supp black card free. and if you don't like the fee why do you still pay? I for one travel 'BIT' and last year, the benefits I got was valued about 3,000 (includes all the upgrade and free nights) never mind the extra perks as well. it really depends on what you do and how you can take advantage of the benefits that come with the card. The card was first introduced in 1999 in the UK. How you managed to get your card in 1997, I don't know! Actually it is available in USA since 1996, called black card instead of Centurion officially introduce in 1999. I've been with Amex for 23 years. I was invited to receive the Centurion card and accepted it, despite its the 650 pound fee. Worked well for me since they introduced it. Now, Centurion ceases to exist they asked me to have the Titanium for 1800 pounds. Why? I don't need nor use many of the facilities offered, yet I was happy to pay the 650 for Centurion....However, I am not going to keep the Titanium and I will be reverting to Platinum as of the 20th January. The fee is 300 pounds. 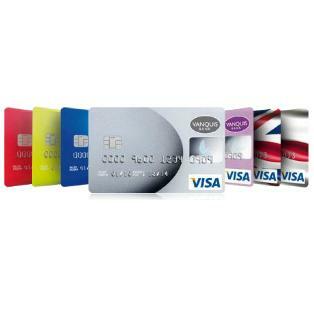 You get the priorty pass with amex platinum and also other cards like Natwest Black or Barclays Infinite. I have given up with Centurion - what, exactly am I paying 1800 quid a year for? Travel service? - Always more expensive than any other travel agent. Occasional benefits in hotel on "Fine Hotels" - that you get with Platinum card anyway. Hopeless at booking any hotel that isn't a big brand. Companion seats on flights? - only on "qualifying" fares that are at least double - and more, what I pay through a regular travel agent. I'm sorry Centurion Card but No Thanks and No more. Been Amex member since 97. Had black card when it first came out in 2000. Fee has tripled and benefits halved. Customer service is the worst. Hotel/airfare rates are rip off. Gave it back this month. Using citibank premier miles now. Same airmiles ratio per $ spent as black. If you don't mind paying 2k to carry a piece of metal in your wallet then get it. Amex customer for 25 years, Centurian for 11 years. Just heard about the 'new and improved' Titanium card and will also be canceling of renewal. I've been an Amex card holder since 92, starting with gold, then platinum followed by charter membership of the centurion card around 10 years ago. At that time, with a cost of £650, it was expensive but acceptable, and the concierge tried their best to help. I have been a long term Amex customer. Like most others here I find the new£1800 Centurion fee totally outrageous. Its introduction at a time of economic turmoil is totally out of touch with prevailing financial climate. When I phoned up Amex to inform them I was leaving they asked me were the benefits explained properly to me. I told them that they had. They said that they have made tremendous improvements in the Concierge service etc - I have not noticed this.